This is the kind of self-orientalism of Eastern scholars I can’t stand. Of course, Merce Cunningham didn’t read Chinese philosophy as an expert, but this’s all this guy got?! Come on, if this is all he knows what to say about Cunningham, he shouldn’t be in dance. There were three developmental waves of the I Ching in China, led by Fu Xi-Shi, Zhou Wen, and Confucius, respectively. Similarly, there were three surges of orientalism in the West: Orientalism, Neo-Orientalism, and Cultural-Orientalism. Each of these surges was a result of the West’s heightened accessibility to Eastern culture. Western artists associated with each wave reflect the “relative” understanding of Asian philosophy during their time. Ruth St. Denis scratched the surface of Eastern culture at the turn of the century after she came back from the Paris Exposition Universelle. In the Neo-Orientalism era, Merce Cunningham likely encountered the I Ching because the first English translation arrived in the U.S. in 1951. While most critics believe Cunningham worked with I Ching principles, Wei Chengxin will argue that he was only standing in the “doorway” of its philosophy. On the other hand, Deborah Hay was able to steep herself in the actual philosophy due to Cultural-Orientalism brought about by the discovery of the Ma-Wang-Tui texts, which increased the dissemination, accessibility, and understanding of the I Ching. As a result, the I Ching penetrated her very life, and informed her creative process. Wei Chengxin graduated from the Beijing Dance Academy in 1997, where he studied classical Chinese dance for eleven years. He subsequently worked for three years as principal dancer of the Guangdong Provincial Dance Theatre. In 2004, Chengxin co-founded Moving Dragon, a contemporary dance company that focuses on cross-cultural fusion between Eastern and Western dance styles. 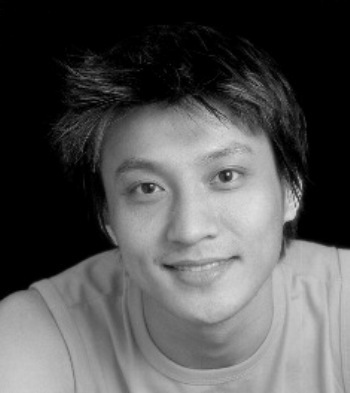 In 2007, Chengxin was the recipient of Canada's Iris Garland Emerging Choreographer Award. He is currently a Visiting Assistant Professor of Dance at Ohio University where he teaches Modern, Ballet and Dance Composition.